"3/3" redirects here. For other uses, see 3/3 (disambiguation). The battalion was originally formed at Marine Corps Base Camp Lejeune, North Carolina in 1942 and saw action on both Bougainville and Guam during World War II, where it was awarded the first of its Presidential Unit Citations for "gallantry, determination, and esprit de corps in accomplishing its mission under extremely difficult and hazardous conditions"; and the first of its Navy Unit Commendations for "outstanding service". Marines in the battalion were also awarded one Medal of Honor and seven Navy Crosses during the war. Following World War II, 3rd Battalion was disbanded until 1951, when it was reformed in California. The battalion was alerted for possible deployment during the 1956 Suez War and the 1958 intervention in Lebanon. In 1965, the Marines of 3rd Battalion were deployed to the Vietnam War and participated in Operation Starlite, the first major Marine engagement of that conflict. The battalion continued to see major action through Vietnam and was rotated back to the United States in 1969. Famous alumni from its time in Vietnam include Corporal Robert Emmett O'Malley, the first Marine in Vietnam to be awarded the Medal of Honor, Oliver North, and John Ripley. Around the end of the Vietnam War, the Battalion was deactivated for a second time in 1974. In 1975, 3rd Battalion was reformed for the third (and last) time at Marine Corps Base Hawaii. During this period, the battalion conducted numerous deployments in the Pacific and Indian Oceans. In 1983, 3rd Battalion deployed off the coast of Lebanon for several weeks during a particularly tense period in the civil war. During the 1980s, the battalion was briefly commanded by Charles Krulak, later the 31st Commandant of the Marine Corps, who nicknamed 3rd Battalion 3rd Marines "America's Battalion" because it was similar to the nickname used by the Dallas Cowboys. 3rd Battalion deployed again in 1990 as part of Operation Desert Shield and saw action at the Battle of Khafji and again during the liberation of Kuwait. In the early 21st century the battalion deployed overseas six times as part of the Global War on Terror: three times for Operation Enduring Freedom in Afghanistan and three times for Operation Iraqi Freedom in Iraq. One Marine from the battalion, Dakota Meyer, was awarded the Medal of Honor during the Global War on Terror. Like many infantry battalions in the Marine Corps, 3rd Battalion, 3rd Marines consists of five companies: three Rifle Companies, a Headquarters and Service Company (H&S), and a Weapons Company. The rifle companies are designed to act as maneuver elements for the battalion. With attachments they can also be employed independently for short periods of time. Each rifle company ideally consists of six officers and 176 enlisted personnel and is typically commanded by a Captain who is assisted by a First Sergeant. The three rifle companies in 3rd Battalion have traditionally been I Company, K Company, and L Company. Because the Marine Corps uses the NATO phonetic alphabet, these companies are commonly known as India, Kilo, and Lima. [nb 2] Prior to 1956, under the Joint Army/Navy Phonetic Alphabet, they were known as Item, King, and Love. H&S Company provides combat service support and consists of the battalion staff, including the headquarters element, communications, medical, and service platoons. While not a combat unit itself, H&S provides the battalion with command and control, surveillance, target acquisition, and service support, making the battalion able to function independently without the direct involvement of a higher headquarters. Weapons Company provides fire support coordination, medium mortars, anti-armor weapons, and heavy machine gun support for the rifle companies. Generally, these elements of Weapons Company are directly employed by the battalion, but may also be attached to the rifle companies. 3rd Battalion 3rd Marines was activated on 1 June 1942 at New River, North Carolina as the 5th Training Battalion, Division Special Troops, 1st Marine Division, Fleet Marine Force. On 16 June, they were redesignated as the 3rd Battalion, 3rd Marines, Fleet Marine Force. From August to September 1942, 3rd Battalion deployed with the rest of the 3rd Marine Regiment to Tutuila, American Samoa and was reassigned to the 2nd Marine Brigade. In 1943, they were reassigned to the Fleet Marine Force. In May 1943, they redeployed to Auckland, New Zealand and in June, were reassigned to the 3rd Marine Division. From July to August 1943, they redeployed to the island of Guadalcanal to begin training in preparation for the invasion of Bougainville in November. 3rd Battalion Marines from Kilo (then-King) Company on Bougainville in 1943. On 1 November 1943, the 3rd Battalion landed at Cape Torokina with the rest of 3rd Marines, just east of the Koromokina River. While resistance was extremely light, the rough surf and dense jungle (which in many places extended all the way to the water) resulted in numerous landing craft being lost or damaged beyond repair. For the next two weeks, the battalion helped construct a series of trails that linked the beachhead with the advancing units, and made supply much easier. On 16 November the battalion reached the Numa Numa Trail and began probing for Japanese units On 18 November after a sharp firefight near a Japanese roadblock the battalion recovered a Japanese map with valuable intelligence on Japanese defenses. From 19–21 November 3rd Battalion continued probing for Japanese units, which had been identified as elements of the 23rd Infantry Regiment, and engaging in sporadic firefights. In the lead-up to the Battle of Piva Forks, 3rd Battalion was able to seize critical high terrain that would give the Marines the advantage in the upcoming fight. The actual battle, from 22–26 November, saw some of the most vicious close combat experienced in the Pacific War as of that date. 3rd Battalion additionally suffered many casualties from unusually accurate Japanese mortar and artillery fire. Two days later, after 27 days of continuous action, 3rd Battalion was moved to a relatively quiet sector on the 3rd Division's flank where it remained for the remainder of the operation. In December, the 3rd Marine Division was relieved by the Army's Americal Division and 3rd Battalion left Bougainville for Guadalcanal on Christmas Day, 1943 with the rest of the division. They left behind 36 of their comrades, including Corporal John Logan Jr. and Captain Robert Turnbull (Lima Company), who were both awarded Navy Crosses during the Battle of Piva Forks. 165 other Marines from 3rd Battalion became casualties during the campaign. After Bougainville, 3rd Battalion conducted numerous training exercises on Guadalcanal from January to May 1944 in preparation for the invasion of Kavieng in April (which was cancelled) and the Marianas in June. While 3rd Marines was designated as the floating reserve for the initial invasion of Saipan, they were ultimately not landed and returned to Eniwetok for a three-week stay prior to the invasion of Guam. During the interlude, the Marines of 3rd Battalion were primarily confined to their transport ship, the USS Warren. 3rd Battalion Marines engaging Japanese positions at Adelup Point on Guam with a flamethrower on 21 July 1944. On 21 July 1944, around 0830, 3rd Battalion hit the Asan beaches on Guam. Landing on the extreme left of the entire 3rd Marine Division, their mission was to take Chonito Cliff and Adelup Point, which marked the left flank of the division. Within minutes the Japanese defenders opened up with mortars and machine guns, hitting many 3rd Battalion Marines coming ashore. By 0912 battalion commander Lieutenant Colonel Ralph Houser reported many casualties caused by both mortars and sniper fire. Both Kilo and India Companies rushed the Chonito Cliffs but the Japanese defenders (Elements of the 2d Battalion, 18th Regiment and 320th Independent Infantry Battalion) resisted strongly, in some cases rolling grenades down the hillside. Supported by flamethrowers, half-tracks, and armor from the 3rd Tank Battalion, 3rd Battalion fought a bloody, three-hour battle up the side of Chonito Cliff. Houser then ordered Lima Company to flank the cliffs to the north by dashing down an exposed beach road. Having secured Chonito Cliff, the battalion then moved on to Adelup Point. The US Navy sent a destroyer to blast the Japanese caves at point-blank range and 3rd Battalion flamethrowers burned out Japanese soldiers who still remained. After securing Adelup Point, 3rd Battalion finished the day providing flank security for the rest of the 3rd Marines during the Battle for Bundschu Ridge and became the only unit in the regiment to accomplish its objectives by the end of W-Day. The first night of 21–22 July, the Marines of 3rd Battalion came under a concerted counterattack by the survivors of the Japanese 320th Independent Infantry Battalion, as well as the 319th, committed by Japanese commander General Kiyoshi Shigematsu to retake the Chonito Cliffs. The Japanese managed to infiltrate past many 3rd Battalion units through ravines and dry river beds and briefly threatened to overrun the battalion command post. The fighting was so heavy that parts of the Division Reserve were committed and the destroyer USS McKee was unable to provide close fire support, as the Japanese and Marines were so closely intermingled. However the Marines held firm and managed to repulse the attack by 0830. During the counterattack, a mortarman with Kilo Company, Private First Class Luther Skaggs, Jr., was critically wounded in the leg by a Japanese grenade. After applying a tourniquet, Skaggs continued to fight for another eight hours before moving unassisted to the rear where most of his leg was amputated. For this he became the first Marine from 3rd Battalion to be awarded the Medal of Honor. Over the next two days the 3rd Battalion fought a savage battle with the Japanese defenders for the Chonito Cliffs and Fonte Plateau area, as the battalion struggled to capture the Mt. Tenjo Road. On 23 July, 3rd Battalion seized the last ridge leading to the Fonte Plateau, provoking a heavy Japanese counterattack. LtCol Houser himself was seriously wounded in this engagement and the Executive Officer, Major Royal Bastian, took command. Then 3rd Battalion, now reinforced with tanks, took part in the assault on the Fonte Plateau on 25 July, seizing the key position after just an hour of fighting. The night of 25–26 July saw the climax of the fighting on Guam when the Japanese launched an all-out counterattack against the Americans. In the 3rd Battalion's sector, Japanese sailors of the 54th Keibitai launched a series of failed attacks against the now-well defended Marine positions. Backed up with artillery, the Marines easily repulsed the Japanese. Marines from 3rd Battalion securing the town of Agana on Guam on 31 July 1944. On the morning of 31 July, 3rd Battalion proceeded east on the Mt. Tenjo road towards the island capital of Agana, which it liberated the same day after token resistance. By 1045, 15 minutes after its platoons entered the city, 3rd Battalion had reached the central plaza and stopped at the northern outskirts by noon. Resuming the offensive at 1545, 3rd Battalion pushed forward 1,500 yards to seize key road junctions that led to the towns of Finegayan and Barrigada. For the remaining ten days of the campaign, the battalion marched northeast up the coast, encountering occasional Japanese resistance, until the island was declared secure on 10 August. However, the Japanese were not totally defeated. On 7 August, as 3rd Battalion led the regimental advance towards Road Junction 460, Japanese artillery shells began landing among the advancing Marines. After Marines discovered the source of fire, a 75mm artillery piece, the Japanese fled. The final action by 3rd Battalion during the campaign was on 9 August when a nearby battalion came under heavy Japanese tank and infantry attack. Blazing a trail through the jungle, 3rd Battalion rushed towards the action but the Japanese tanks vanished before the battalion could arrive. Casualties for the 3rd Battalion were twice that of Bougainville, with 300 wounded and 97 killed. Following the invasion of Guam, 3rd Battalion spent two months conducting 'mopping up' operations on the island until November, when it received orders to prepare for operations against Iwo Jima. From November until February 1945, they took part in a training regimen so serious that a fellow battalion later reported at least 20% of its members were incapacitated due to foot and heat injuries. During the Battle of Iwo Jima, 3rd Battalion, as part of 3rd Marines, was kept offshore as the Expeditionary Troops reserve. However, despite numerous requests from other Marine officers, the 3rd Marines were never landed. According to one 3rd Battalion veteran, some Marines from the battalion came ashore to unload supplies or with other units that they had recently transferred to. After sitting off Iwo Jima in their transport ships for a month, the 3rd Marines were ordered to return to Guam on 5 March 1945. Back on Guam, 3rd Battalion began training for a landing on Miyako Jima, an island just south of Okinawa. Those orders were eventually cancelled, but the battalion still saw minor combat in 1945, participating in two operations on Guam designed to capture Japanese soldiers still holding out in the hills. These sweeps took place in April and December 1945. 3rd Battalion also began preparing for Operation Olympic, where as part of V Amphibious Corps, it would have landed at Kushikino, Kagoshima on Kyūshū. After the dropping of the atomic bombs in August 1945, and Japan's surrender, 3rd Battalion was detached from the 3rd Marine Division in November 1945 and deactivated the following month on 20 December 1945. Shortly before it was deactivated, however, 3rd Battalion suffered the dubious honor of having the last American killed in World War II, when PFC W.C. Patrick Bates of Kilo Company was shot by a Japanese sniper on 14 December during a mopping up operation on Guam (three months after the formal end of hostilities). 3rd Battalion, 3rd Marines was reactivated at Marine Corps Base Camp Pendleton in August 1951 as part of the 3rd Marine Brigade. In February 1952, it took part in Lex-Baker-1, which was the first full-scale Marine-Navy exercise held on the West Coast since 1949. In May, India Company participated in the ground portion of the Operation Tumbler–Snapper atomic bomb tests in Nevada. In August, part of the battalion took part in an amphibious landing on Lake Washington as part of Seattle's "Seafair." Then in December, 3rd Battalion took part in one of the first exercises at Twentynine Palms, California. The entire 3rd Marine Division, including 3rd Battalion 3rd Marines, was transported more than 280 miles (451 km) by truck between MCB Camp Pendleton and Twenty-nine Palms. During the exercise, Third Battalion made a night airlift using over 60 helicopters. In January 1953, the unit deployed to the Marine Corps Air Station Kaneohe Bay on Oahu for six months of training, after which 3rd Battalion, 3rd Marines returned to Pendleton. In August 1953, 3rd Battalion deployed to Japan for training operations at Kin Beach, Okinawa and Iwo Jima. In October 1956, 3rd Battalion was stationed in Japan when the Suez Crisis broke out. Though initially deployed to the Indian Ocean for possible action in Egypt and the surrounding region, the crisis was ultimately resolved. During this cruise, 3rd Battalion—designated Battalion Landing Team (BLT) 3/3 – visited Brunei Bay, Bombay, Karachi, and Singapore, before returning to Japan. In December 1956, the entire 3rd Marine Regiment was deployed off of Indonesia because of civil strife in that country. In 1958, 3rd Battalion was alerted for possible deployment to Lebanon, but its transports were turned back in the Indian Ocean to Okinawa. Four years later, in 1962, the battalion deployed on the USS Bayfield to the Chinese coast to guard the Taiwanese islands of Quemoy Matsu. The official emblem for 3rd Battalion, 3rd Marines in Vietnam. Tank A-32 (attached to 3rd Battalion) during Operation Starlite. In January 1965, the 2nd Battalion, 1st Marines at Marine Corps Base Camp Pendleton, California deployed for a tour on Okinawa, Japan, where they were redesignated the 3rd Battalion, 3rd Marines. At the time the Marines of 3rd Battalion expected a typical 13-month deployment followed by a quick return to the States. However the battalion found itself caught up in the initial deployment of Marine units to Vietnam, and landed on 12 May along the coast south of Danang at Chu Lai. The battalion's first major operation in the Vietnam War was Operation Starlite where they teamed up with units of the 7th Marines. Operation Starlite was aimed at destroying the 1st Viet Cong (VC) Regiment, which was preparing to attack Chu Lai from the Van Tuong peninsula. The fighting began on 18 August when the battalion conducted an amphibious landing just east of the VC positions. At first the attack was slowed by effective VC delaying tactics. However, 3rd Battalion eventually advanced to the outskirts of the village of An Cuong 2. While attempting to clear the village, India Company came under intense fire from VC defending the village. When one squad under Corporal Robert Emmett O'Malley was ambushed, O'Malley jumped into a VC trench and personally killed eight Viet Cong. Wounded three times, O'Malley refused to be evacuated until all his men were safe and was later awarded the Medal of Honor. India Company then had to fight its way back to the rest of the battalion through other Viet Cong units still operating in the area. Around 1200, an H&S Company supply convoy bound for India Company was ambushed and a force sent to relieve them was also pinned down. The ordeal was covered by journalist Peter Arnett in his article "The Death of Supply Column 21". 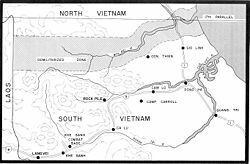 During the afternoon the situation was stabilized and the Viet Cong retreated that night, resulting in a tactical American victory. The United States had 52 Marines killed in Starlite. India Company lost 14 dead, including the company commander, and 53 wounded out of a force of 177 Marines. Three Navy Crosses were awarded to Marines from the battalion for actions during Starlite, including the battalion commander Lieutenant Colonel Joseph Muir. Battalion Commander LtCol Joshua Dorsey III (left) during Operation Harvest Moon. Following Starlite 3rd Battalion continued to conduct regular sweeps and low-level (i.e. small unit) combat operations against the Viet Cong (usually the 1st VC Regiment) in the greater Da Nang area. Among the casualties suffered during this period was LtCol Muir, who was killed when he stepped on an IED. In November they participated in an amphibious operation similar to Starlite called Blue Marlin (II), which was carried out near Hoi An. Contact was irregular as the VC attempted to avoid a drawn-out engagement and the battalion only had three Marines wounded. Then in December the battalion moved to the Que Son Valley for Operation Harvest Moon, preventing the VC from capturing the town. In March 1966, 3rd Battalion participated in Operation Kings, officially a search and destroy mission in the An Hoa region, but really an attempt to create a long-term occupation in a historic Viet Cong stronghold. However, any progress gained in Kings was immediately negated by the Buddhist Uprising just one week later in Da Nang. In July, the battalion acted as a blocking force during Operation Macon but did not see significant action. In August, 3rd Battalion left Vietnam for Okinawa. The battalion would not be gone long though, and in early October was stationed offshore as BLT 3/3 near the northern portion of I Corps to combat a possible North Vietnamese invasion across the Demilitarized Zone (DMZ). The threat never materialized and BLT 3/3 returned to Vietnam later that month. In October 1966, 3rd Battalion was deployed to combat the threat from the People's Army of Vietnam (PAVN) in Quảng Trị Province. This would be a largely conventional fight, known as the "war against professionals", that would continue until late 1968. Supplies would be in constant short supply and Marines were constantly scavenging helmets, clothes, armor, and ammunition from their dead. In December, the battalion suffered a tragic case of friendly fire when a pair of F-4 Phantoms dropped several bombs in the middle of Mike Company, killing seventeen Marines and wounding a dozen others. Navy Corpsman Donald Rion was awarded a posthumous Silver Star for his efforts to treat the wounded, despite suffering a mortal wound himself. From February – April, the battalion took part in Operations Prairie II, III and IV, which were a series of sweeps throughout Quảng Trị Province. On 2 March 1967, Lima Company, then under the command of Captain John Ripley, stumbled into a PAVN regiment trying to cross the DMZ. 12 Marines were killed, 28 severely wounded, and nearly every other man in the fight, including Ripley, was hit. The PAVN suffered heavy casualties and retreated across the border. In April, 3rd Battalion participated in a series of bloody engagements near Khe Sanh known as The Hill Fights. Activity near Khe Sanh had increased dramatically that spring and on 24 April, Bravo Company 1st Battalion 9th Marines was engaged by elements of the PAVN 18th Regiment dug in on Hills 881 North, 881 South, and 861. 3rd Battalion, then a hybrid unit with companies from multiple battalions, was sent to assist. 3rd Battalion's commander, LtCol Gary Wilder, believed he was only facing a small PAVN unit and counterattacked. Throughout the 25th, 3rd Battalion launched a series of piecemeal attacks on the hills, only to be repulsed with heavy losses. The 3rd Marine Division committed its reserve to the fighting and took Hill 861 on 26 April. On the night of 29 April, the PAVN replaced the battered 18th Regiment with the fresh 95th Regiment. The following day the Marines dropped 250 bombs and more than 1300 artillery rounds on Hill 881. Mike Company was allowed by the PAVN to advance partially up the hill before opening fire. By the end of the battle, 46 Marines from the battalion were killed, half of them from Mike Company. Throughout the late spring and early summer of 1967 the battalion helped keep open Route 9, the supply route between Ca Lu Combat Base and Khe Sanh. After a firefight between a PAVN battalion and Mike Company in late July, the road was closed until 1968. The battalion was also stricken by malaria during this time; 206 3rd Battalion Marines contracted it. In the fall the battalion was put to work building and defending the McNamara Line, a series of fixed fortifications along the DMZ in an area known as Leatherneck Square (The four corners were Cam Lộ, Con Thien, Gio Linh and Đông Hà). The PAVN repeatedly attacked the positions and twice 3rd Battalion had to come rescue elements of 2nd Battalion, 4th Marines that were in danger of being overrun. 3rd Battalion would occupy several of those positions through May 1968. From 29 December to 12 January elements of the battalion participated in the construction and defense of strongpoint Alpha 3. 3rd Battalion conducts a Medevac while operating along the DMZ, 1968. The first major combat for 3rd Battalion in 1968 came on 7 February, about a week after the Tet Offensive began, when Kilo Company engaged a PAVN battalion near Gio Linh. 29 Kilo Marines were killed, including PFC Robert Quick who was awarded a posthumous Navy Cross for deflecting a PAVN hand grenade. Another 31 were wounded, including PFC Craig Swartz who was wounded three times and received three purple hearts for his service. PAVN losses numbered at least 139, with another 60 graves discovered by 3rd Battalion Marines three days later. That same month a platoon from Mike Company observed and damaged two PAVN PT-76 tanks near Alpha 3, one of only three times they were encountered during the Vietnam War before 1972. On 6 March, Mike Company blundered into the 27th Regiment of the PAVN 325th Division and had one-third of the company put out of action in an all-night engagement, including 14 Marines killed. In early May the PAVN launched a new offensive known as the May Offensive or 'mini-Tet'. During that time, on 8 May, 3rd Battalion overran a PAVN regimental command post in Leatherneck Square, suffering 102 casualties including 8 killed. On 22 May, Lima Company uncovered a North Vietnamese staging area near Alpha 3 and destroyed it in an action that involved elements of three other Marine battalions. Then on 26 May the battalion was moved east to Dai Do as part of Operation Napoleon/Saline, in response to PAVN pressure on the supply lines to the 3rd Marine Division headquarters at Dong Ha. By the end of the month, 3rd Battalion had lost 53 Marines and had another 319 severely wounded, a casualty ratio of about one out of every two infantrymen in the field. In June the battalion was placed in reserve as a ready-reinforcement unit and consequently saw little combat. From July to September, 3rd Battalion operated all throughout the I Corps area of operations, moving its command post to ten different locations. Hundreds of Marines were also affected by cellulitis. Following President Johnson's halt of the US bombing campaign on 1 November, 3rd Battalion Marines had to watch as the PAVN brazenly pushed large convoys of men and munitions south along the Ben Hai River. In one instance it took three days for the battalion to get approval for a single airstrike on a North Vietnamese convoy. 3rd Battalion 3rd Marines's command group at Vandegrift Combat Base, 1969. In early 1969, 3rd Battalion 3rd Marines was sent south of the DMZ for several months to join Task Force Yankee in Operation Taylor Common near An Hoa. This three-month operation focused on destroying the primary base for PAVN forces operating across several provinces and 3rd Battalion was awarded a Navy Unit Commendation for its actions during the operation. Ten Marines from 3rd Battalion were killed during the operation (out of 183 total US fatalities), and American forces captured numerous quantities of PAVN supplies. One Marine, Lance Corporal (LCPL) William R. Prom, was posthumously awarded the Medal of Honor for gallantry during Taylor Common. In July 1969, the battalion took part in Operations Virginia Ridge and Idaho Canyon, attempting to stop infiltrators from the PAVN 27th Regiment and 33rd Sapper Battalion from coming through the DMZ. The operation continued until September, when the 3rd Marine Regiment was ordered to stop operations in preparation for its redeployment back to the United States. The battalion began to depart on 7 October and had fully arrived at Marine Corps Base Camp Pendleton by the end of 1969. Many 3rd Battalion Marines with time still left on their tours of duty were transferred to other units. 3rd Battalion spent over 1,600 days in Vietnam and conducted 48 combat operations, the most of any Marine battalion in the conflict. 653 Marines who served in 3rd Battalion 3rd Marines lost their lives during the Vietnam War or were killed while operating with other units. Nearly 2,800 others were wounded. The official emblem for 3rd Battalion 3rd Marines during the 1980s and 1990s. The battalion relocated during October and November 1969 to MCB Camp Pendleton and was reassigned to the 5th Marine Amphibious Brigade. They were again reassigned in April 1971 to the 1st Marine Division. The battalion was deactivated 1 June 1974. 3rd Battalion 3rd Marines was reactivated on 1 October 1975 at MCB Kaneohe Bay, Hawaii, and assigned to the 3rd Marine Division. Elements of the battalion deployed to the Western Pacific at various times during the 1970s and 1980s. In June 1979, Mike Company was deactivated and Weapons Company was stood up. In February 1980, following the Iran hostage crisis and the Soviet invasion of Afghanistan, the battalion was deployed to the Persian Gulf on board the USS Okinawa and was also the back-up force during Operation Eagle Claw. This deployment made 3rd Battalion the first American ground unit to enter the region since World War II. In the summer of 1983, the battalion was in Mombasa, Kenya as part of the 31st Marine Amphibious Unit (MAU)[nb 3] when the Joint Chiefs of Staff ordered it to the Mediterranean Sea to become part of the Multinational Force in Lebanon during the Lebanese Civil War. It arrived on 12 September and spent three weeks off the coast as a reserve force for the 24th MAU on the USS Tarawa (LHA-1). It departed on 9 October for the Indian Ocean, two weeks before the Beirut barracks bombing. On 2 August 1990, 3rd Battalion was completing a deployment at Camp Hansen on Okinawa when they were notified to be prepared to immediately redeploy to Saudi Arabia as a response to the Iraqi invasion of Kuwait. No sooner had the battalion returned to Hawaii then it was shipped out again to Saudi Arabia as part of the 1st Marine Expeditionary Brigade. India Company deployed first on 15 August to Singapore to provide onboard security for Maritime Prepositioning ships bound for the port of Al Jubayl. On 1 September, the rest of the battalion arrived in Dahran. As one of the first Marine units in country, 3rd Battalion found itself defending a key position at Cement Ridge, about 90 kilometers away from the Kuwaiti border. With orders to hold against any Iraqi attack, 3rd Battalion spent most of the months of August and September digging defensive positions. In October, 3rd Battalion and 2nd Battalion, 3rd Marines were designated "Task Force Taro" and moved to the extreme right flank of the Marine sector, bordering the King Abdul Aziz Brigade of the Saudi Arabian National Guard. Because of their close proximity, Taro was ordered to begin cross-training with the Saudi forces. This cross-training continued through January, when 3rd Battalion was moved forward to defend Al Mish'ab along the Saudi coast and became the northernmost Marine combat force in Saudi Arabia. Tragically during this time the battalion lost two Marines, James Cunningham and Anthony Stewart, who were accidentally killed by negligent discharges. Marines of 3rd Battalion, 3rd Marines searching Khafji for Iraqi stragglers following the battle in the painting "Cleaning up Khafji". Operation Desert Storm began on 17 January 1991, but for the first two weeks 3rd Battalion only conducted sporadic engagements with its Iraqi counterparts across the border. That all changed on 29 January, when several Iraqi divisions unexpectedly crossed the border and seized the Saudi town of Khafji, less than 15 kilometers north of 3rd Battalion's position. During the attack the Executive Officer, Major Craig Huddleston, along with the Battalion Sergeant Major and part of the battalion's Heavy Machine Gun Platoon, drove into the town on a rescue mission looking for two Army soldiers who had been captured. Although they were unable to find them, the Marines from 3rd Battalion did encounter an Iraqi patrol and exchanged rounds with them before escaping. While Saudi and Qatari units ultimately retook the town, 3rd Battalion played a vital role in both coordinating air and artillery support for the attack and blocking further Iraqi advances southward. In addition, several heavy machine gun Humvees and forward air controllers (FAC's) from the battalion were attached to the Saudi Brigade and took part in the assault. From 19–21 February, 3rd Battalion moved from Al Mish'ab to the forward assembly areas that it would be using to launch its attack into Kuwait. It was also during this period that 3rd Battalion was given its assignment for the ground offensive. Lacking heavy armor or motorized transport, the battalion (along with 2/3) would infiltrate Iraqi positions along the Saudi border on foot in darkness and provide right flank security for the rest of the 1st Marine Division to make its assault into Kuwait. On the night of 22 February, 3rd Battalion crossed the border into Kuwait, infiltrating past Iraqi minefields, tank traps, and other obstacles. Like many American units, 3rd Battalion encountered no Iraqi resistance and the biggest threat to the Marines came from friendly fire. Throughout the ground war, the battalion advanced steadily northwards, spending an entire day traversing the burning oil fields, encountering no resistance but taking plenty of prisoners. 3rd Battalion arrived outside the Kuwait International Airport around 27 February where a SCUD missile landed near the battalion's command post. The battalion was on the grounds of Kuwait International Airport preparing to redeploy on order when the cease-fire was announced. After being trucked back south to Jubayl, on about March 7, 3rd Battalion returned to Hawaii, having suffered no combat casualties and being the first Marine unit to return home. Marines from Weapons Company practice engaging an enemy force while at Camp Fuji, Japan in 1996. Between its participation in Desert Storm and the Afghan War, 3rd Battalion conducted multiple deployments around the Pacific Rim. In August 1991 the battalion participated in Operation Tafakula in Tonga, an international exercise involving elements of the French military and the Tongan defense services. In 1992 it conducted a Unit Deployment Program (UDP) to Okinawa. In 1993 India Company participated in Operation Golden Eagle in Australia. In 1994 the battalion conducted another UDP to both Camp Hansen on Okinawa and to Camp Fuji in Japan. On 8 June India Company participated in the 50th Anniversary of the Invasion of Saipan. In October 1994 3rd Battalion was reassigned to the 3rd Marine Division. In 1995 the battalion went to Fort Wainwright, Alaska for Operation Northern Edge, then spent the latter part of the year training at Camp Fuji and Okinawa. The battalion sent a composite company, made up of one platoon from each company, to Australia in March 1996 to cross train with the Australian 1st Royal Australian Regiment. In 1997 it conducted another UDP to Okinawa and Pohang, Korea. During that time Weapons Company participated in Exercise Kennel Bear on Guam. Lima Company took part in Operation Valiant Mark with the 1st Guards Battalion of Singapore. In 1998 the battalion participated in Operation Southern Frontier in Australia, Kennel Bear in Okinawa, Forest Eagle/Freedom Banner in Korea, Forest Light on Kyushu, Japan, and Fuji '99. The official emblem for 3rd Battalion 3rd Marines during the Global War on Terror. From 1999–2002, 3rd Battalion conducted operations Crocodile '99 and Tandem Thrust '01 in Queensland and Townsend, Australia, Operation Tafakula in Tonga, and then conducted UDPs to Okinawa in 2000 and 2002. In 2002 the battalion participated in Operation Millenium Edge on Tinian and Guam, then Balikatan 02-2 in the Philippines, Borneo, Brunei, Korea, Australia, and Japan. In 2003 3rd Battalion became BLT 3/3 on the 31st MEU for the second half of the year. Based on the USS Essex, USS Fort McHenry, and USS Harpers Ferry, BLT 3/3 participated in ARGEX-03 in the Philippines, provided security for President George W. Bush on Bali, Indonesia, and also visited Japan, Australia, East Timor, and Hong Kong. In May and June 2004 Lima Company participated in Operation Cobra Gold II at Khorat, Thailand and other parts of the battalion participated in Operation Northern Edge JTF-510 in Alaska. In July the battalion took part in the annual exercise of RIMPAC in Hawaii with Company C, 2nd Battalion Royal Australian Regiment on exchange. As part of the exchange, Kilo Company conducted Operation Gold Eagle in Lavarack Barracks, Townsville, Australia. A Corpsman with Kilo Company in Afghanistan, 2005. In late 2004, 3rd Battalion was notified it would be participating in Operation Enduring Freedom. On 31 October, the first Marines left Kaneohe Bay, Hawaii for an eight-month deployment to eastern Afghanistan. While serving in Afghanistan, 3rd Battalion conducted Operation Spurs in February 2005, where they were inserted into the Korangal valley and conducted both counterinsurgency and humanitarian operations. In March, 3rd Battalion launched a similar sweep called Operation Mavericks. During their time in Afghanistan, the Marines from 3rd Battalion engaged the Taliban in 22 firefights. In one of them the battalion suffered its only fatalities for the deployment when LCPL Nicholas Kirven and Corporal Richard Schoener were killed during a three-hour firefight in Alishang which also resulted in twenty-three Taliban killed. During the fighting, Lieutenant Stephen Boada was awarded the Silver Star for calmly directing bombing runs on Taliban positions, despite having been wounded several times. In May the battalion launched one final operation, Operation Celtics, in the Tora Bora region. The operation was for the most part uneventful, although NBC news journalist Ron Allen was almost killed while traveling with Kilo Company when his Humvee ran over an IED. Marines with Lima Company patrolling through a poppy field in Afghanistan, 2010. In mid-May 2010 3rd Battalion began deploying to the Nawa-I-Barakzayi District in Helmand Province, relieving the 1st Battalion, 3rd Marines. Partnering with Afghan National Army soldiers from the 215th Corps, the battalion found itself in an area awash with money as the U.S. Agency for International Development was in the process of spending $30 million in an attempt to increase agricultural production (and create jobs for thousands of otherwise-potential Taliban recruits), but was also resulting in tensions between the local community council and tribal elders. In-mid June, Lima Company took part in Operation New Dawn, establishing observation posts in southern Shosharak, an area in between Nawa and Marjeh. In late July, the battalion suffered the loss of Corporal Joe Wrighstman, who drowned in the Helmand River while attempting to save the life of an Afghan National policeman. India Company just days later had 3 squads from 3 different platoons ambushed by Taliban fighters in which they had to secure the crash site of Dealer 54, an HMLA-369 helicopter which was shot down near Lashkar Gah while flying close air support supporting a firefight at PB Meinert. India Company became involved in fierce firefights engaging the enemy at times just meters away. Throughout India Company's 7-month deployment they only called in 8 friendly evacuations after being engaged in over 92 Firefights and reported 174 enemy KIA. India Company operated out of | COP Spin Ghar | Patrol Base (PB) Jaker | PB Meinert | PB Poole | PB Skullet | PB Swenson | India Company's Marines were highly Awarded for their actions in Helmand during their operations including First Sgt. William Pinkerton awarded The Bronze Star Combat V. First Sgt. Pinkerton led the company's Marines from the front during 16 IED, 19 device, 14 cache finds and captured 6 insurgents. First Sgt. Pinkerton was first to push a squad to the Dealer 54s crash site through heavy Taliban Machine Gun fire and set up a safe perimeter to keep Taliban fighters from getting to downed pilots. Around this time, India Company conducted Operation Thresher and later Operation Mako in areas of Nawa District under heavy Taliban influence, finding several cache sites and taking some detainees. In September, while providing pre-election security for the Afghan parliamentary elections the battalion suffered another loss when 1st Lieutenant Scott Fleming was shot and killed. Nevertheless, on election day Nawa District was the one location in Helmand Province with no reported Taliban attacks. Residents claimed that the Marines from 3rd Battalion had implemented good security measures and encouraged the people to cooperate with the government, preventing the Taliban from firing a single shot. By the end of 3rd Battalion's deployment in the fall of 2010, Nawa was regarded by many as "a model of counterinsurgency operations and the most stable district" in southern Afghanistan. Marines from H&S Company patrolling a marketplace in Garmsir District in 2011. In October 2011, 3rd Battalion deployed again to Helmand Province, this time to the Garmsir District. Located in southern Helmand, directly south of Nawa District, Garmsir was both a historically infiltration route for Taliban coming from Pakistan, and is considered to have a culture very similar to Pakistan's. The deployment was marred by tragedy at the very beginning when the Chief of Police, LtCol Sayfullah Khan Rashidi, (who had previously served as Nawa District's Chief of Police during 3/3's deployment there) was killed along with two other Afghan National Police (ANP) by an IED on 6 November. Two days later, Hajji Abdullah Khan, an influential tribal elder with the Nurzai Tribe in the Sar Banadar area, was gunned down by a member of the Andar Tribe following a shura with 3rd Battalion Marines. Afghan Border Police (ABP) were able to arrest the murderer, who was then successfully prosecuted under Afghan law. A Taliban commander was also killed in Meyan Pashti around the same time. In mid-December, a squad from Lima Company was able to rescue an entire Afghan family when their car plunged into the Helmand River. Starting in January 2012, 3rd Battalion and elements of the 215th Corps of the Afghan National Army began a series of airborne assaults at sparsely-populated and historically Taliban-controlled areas in Garmsir. On 4 January they launched Operation Tageer Shamal (Shifting Winds), aimed at clearing Taliban fighters from the western side of the Helmand River. On 10 February they followed up with Shahem Tofan (Eagle Storm), a joint effort with the ABP aimed at interdicting smugglers moving through the desert in southeastern Garmsir. On 17 April, over 2,200 Afghans went to the polls to elect the Garmsir District Community Council, which – due to increases in security – now represented the entire district instead of just the northern part. Four days later, on 21 April, a suicide bomber killed four Afghan Police in Garmsir; while medevacing the police, a UH-60 Black Hawk helicopter crashed, killing all four aboard. Kilo Company Marines patrolling the Haditha Triad in Iraq, 2006. In March 2006, 3rd Battalion 3rd Marines conducted its first OIF deployment to Al Anbar province in western Iraq. They relieved the 3rd Battalion 1st Marines in the Haditha area and were based out of the Haditha Dam. This deployment was particularly sensitive, coming around the same time that news of the Haditha killings (where Marines had killed 24 civilians in the same area the previous November) broke in the United States. Once it arrived in Iraq, 3rd Battalion was given the mission of "fighting insurgents, working with locals to improve local economy and quality of life, and training Iraqi soldiers." The Battalion was also partnered up with the 2nd Battalion, 2nd Brigade of the 7th Iraqi Army Division. 3rd Battalion attempted to secure Haditha by using an approach of "constant presence". The battalion operated from a series of forward operating bases in the local cities of Haditha, Barwanah, Haqlaniyah, and Baghdadi from which the rifle and weapons companies sent out constant patrols to keep the insurgent groups off balance. However, the battalion was unable to create a working local police force, due to the overwhelming intimidation by insurgent groups. Battalion Commander LtCol Norman Cooling observed, "We didn't have the manpower to control the [main roads] and hold Haditha. The Iraqi Army was as blind as we were. The insurgents killed anyone who spoke to us." One group of 15 police volunteers was murdered by insurgents in Baghdadi in May. Then in June a Marine mistook a local tribal leader driving near a convoy for a possible suicide bomber and killed him. Another groups of Marines in the same city had more success when they cornered a band of insurgents in the Haqlaniyah Hotel and blew it up. By June, attacks against Marines in Haqlaniyah had become common, with their base getting mortared about twice a week and some insurgents getting close enough to throw grenades over the wall into the base. On 3 June three insurgents opened fire on the Haqlaniyah base but were quickly killed after a group of Marines led by Gunnery Sergeant Jim Lanham launched a hasty counterattack. In early September, 3rd Battalion launched a second effort to recruit police called Operation Guardian Tiger IV. This recruitment drive was more successful than its predecessors and also detained 30 suspected insurgents. On 6 October, 3rd Battalion 3rd Marines returned to Kaneohe Bay. During their time in Haditha the Marines from 3rd Battalion 3rd Marines conducted more than 8,000 patrols, located 54 weapons caches and detained more than 800 suspected insurgents. The battalion had 11 Marines killed and 85 wounded. Battalion Commander LtCol Nathan Nastase with members of the Karmah City council in Iraq, 2007. Many of these individuals would be killed in June 2008 when a suicide bomber attacked the council. The following year in August 2007, the battalion made its second Iraq deployment, this time to the Fallujah area where they served under the Regimental Combat Team 6 during the closing phases of Operation Alljah. Their mission was to complete the Clear Hold Build operation in the areas of Karmah and Zaidon which the 2nd Battalion, 5th Marines and 2nd Battalion, 7th Marines had begun two months earlier. Karmah had become an important insurgent stronghold due its proximity both Baghdad and Fallujah. Unlike other cities, Karmah had no definable perimeter to hold, making it easy for outsiders to access. In addition, as insurgents were pushed out of Baghdad by other offensives they found it easy to flee to Karmah. In early September, Kilo Company moved into a cluster of villages northeast of Karmah that was the last major insurgent staging ground in Anbar. The insurgents fled without firing a shot. For the first few months the Marines took small-arms and mortar fire nightly. A 20-minute attack on 5 October against the Iraqi Police station in Karmah was repulsed by Jim Lanham, now a First Sergeant. By late 2007 the Marines frequently found themselves mediating between sheiks, assisting locals with reconstruction projects, and mentoring the Iraqi police units in the area. One company commander, Captain Quintin Jones, observed that, "On one end I'm fighting, and on the other end I'm disputing between tribal leaders. The other part (is) trying to stimulate the economy. So, it's a three-block war here and it's very, very dynamic." The battalion spent more than $1 million on Karmah, including a city council and a medical clinic. On 1 December, the battalion staged an elaborate reopening of "Victory Circle", or "The Lollipop", the marketplace in the center of Karmah which had earlier been the scene of fierce fighting between Marines and insurgents. In February 2008 the battalion rotated back to the United States without suffering a single casualty. 3rd Battalion Humvees staged at Al Asad Airbase as part of Task Force MP. In April 2009 3/3 deployed for a third time to Iraq, this time to Al Asad Airbase in Al Anbar Province. On that deployment they made up Task Force Military Police (TFMP). Task Force Military Police was a support unit fulfilling security responsibilities in Anbar Province, including conducting convoy security missions and detainee releases, running regional detention facilities, and also managing the military working dogs in Anbar Province. In addition, since November 2008 it had been tasked with securing Combat Outpost Heider in Rabiah, Nineveh Province, as part of Operation Defeat Al Qaeda in the North (OPDAN). In late July, Marines from the battalion operating as Task Force Personnel Recovery participated in and were responsible for the eventual recovery of the remains of a pilot, Navy Captain Scott Speicher, who had been missing in action since the 1991 Gulf War. President Barack Obama later said he was "grateful to the Marines who pursued the information that led to Captain Speicher's recovery so that he can now come home." The deployment was mostly uneventful and 3/3 was ultimately relieved by 3rd Battalion, 24th Marines, which was the last Marine infantry battalion to deploy to Iraq. En route back to the United States one of the companies was detained in Mumbai, India for two days. The battalion lost one Marine, LCPL Ray Spencer, who died in a nonhostile incident. With the exception of Weapons Co. who was deployed back to Fallujah under 1st Battalion 7th Marines. To assist in combat operations, and turn over to Iraq authority. Since the beginning of World War II, the United States military has honored various units for extraordinary heroism or outstanding non-combat service. This information is compiled by the United States Marine Corps History Division and is certified by the Commandant of the Marine Corps. Korean Service Streamer 1953–1954 3rd Battalion never actually fought in Korea, but was stationed in Japan as a reserve force during the last year of the war. According to research by the Marine Corps' History and Museum Division, the name "America's Battalion" originated in the mid-1980s when LtCol Charles Krulak was the battalion's commanding officer. It comes from the nickname "America's Team", which was used by the Dallas Cowboys. Krulak, who was a big Cowboys fan, modified the nickname to apply to 3rd Battalion. According to Krulak, at one point a friend of his sent him a letter addressed to the "Commanding Officer, America's Battalion". With nothing else on the envelope, the United States Postal Service still managed to deliver the letter properly. Krulak commented that "if the U.S. Postal Service recognized 3rd Battalion 3rd Marines as 'America's Battalion,' then they certainly must be." So from then on, he considered it 'official'. 3rd Battalion is one of two battalions to have the nickname "America's Battalion", the other being 2nd Battalion 8th Marines based out of Marine Corps Base Camp Lejeune. Colonel John Ripley commanded Lima Company during the Vietnam War. Among the many decorations for valor and bravery awarded to Marines from 3rd Battalion, five Medals of Honor and over twenty Navy Crosses have been awarded. South Bend mayor John Alden Scott served in the battalion during World War II and was awarded the Silver Star on Bougainville. In 1965, Corporal Robert Emmett O'Malley from India Company became the first Marine in the Vietnam War to be awarded the Medal of Honor. Two other Marines from 3rd Battalion 3rd Marines, Robert J. Modrzejewski (1958–1959) and Howard V. Lee (1959–1960), would later be awarded the Medal of Honor in Vietnam while serving with other units. Colonel John Ripley (hero of the bridge at Dong Ha) was in command of Lima Company in 1967, and the company was frequently referred to as "Ripley's Raiders". One of his platoon commanders was former Major League Baseball player Chuck Goggin. Oliver North served as a platoon commander in Kilo Company from 1968–1969 and Frank Tejeda, a Congressman from Texas, was a Kilo NCO for the same period. In 1979, James Mattis served as commander of Kilo Company during the battalion's deployment aboard a MEU in the Indian Ocean. Charles Krulak, the 31st Commandant of the Marine Corps, also commanded Lima Company during the Vietnam War and later served as Battalion Commander from 1983–1985. Krulak is also credited with giving 3rd Battalion 3rd Marines the nickname "America's Battalion". In more recent years, War on Terror alumni include Medal of Honor recipient Dakota Meyer, Navy Cross recipient Luis Fonseca, Terminal Lance creator Maximilian Uriarte, The Duffel Blog creator Paul Szoldra, and Castra Praetoria milblogger Michael Burke. Wikimedia Commons has media related to 3rd Battalion 3rd Marines. ^ The United States Marine Corps falls under the United States Department of the Navy. Traditionally, the United States Navy has, and still does to this day, supply the U.S. Marine Corps with both hospital corpsmen and chaplains. See also Marine Corps Operating Forces. ^ When Marine battalions are deployed on-ship they are referred to as a Battalion Landing Team (BLT). ^ While the NUCs for the Iraq War have not been officially certified on 3/3's website, they have been listed in official Marine Corps Awards Documents: MARADMIN 0320/09 Announcement of approved Navy Unit Commendation (NUC) Archived 27 September 2012 at the Wayback Machine from May 2009 . Retrieved 2009-05-25. MARADMIN 055/12 Announcement of approved Navy Unit Commendation Archived 12 October 2012 at the Wayback Machine. Retrieved 2012-02-02. MARADMIN 056/12 Announcement of approved Navy Unit Commendation Archived 28 September 2012 at the Wayback Machine. Retrieved 2012-02-01. 057/12 Announcement of approved Navy Unit Commendation Archived 27 September 2012 at the Wayback Machine. Retrieved 2 February 2012. ^ While the NUC for the Afghan War has not been officially certified on 3/3's website, it has been listed in an official Marine Corps Awards Document: I MEF (FWD) Navy Unit Commendation. Retrieved 6 September 2012. ^ While the MUC for the Afghan War has not been officially certified on 3/3's website, it has been listed in an official Marine Corps Awards Document (MARADMIN 074/07 Awards Update) from February 2007 . Retrieved 18 April 2007. ^ While the MUC for III MEF has not been officially certified on 3/3's website, it has been listed in an official Marine Corps Awards Document (MARADMIN 617/11 Awards Update) from October 2011. Retrieved 26 October 2011. ^ "3d Marine Regiment". United States Marine Corps. Retrieved 23 January 2013. ^ a b Fleet Marine Force (1993). "1013g 17 December 1993 Rifle Company, Infantry Battalion, Infantry Regiment, Marine Division, Fleet Marine Force Table Of Organization". United States Marine Corps. Retrieved 10 March 2010. ^ United States Marine Corps (2013). " Battalion 3d Marines". United States Marine Corps. Retrieved 23 January 2013. ^ a b Fleet Marine Force (1993). "1037f 17 December 1993 Headquarters And Service Company, Infantry Battalion, Infantry Regiment, Marine Division, Fleet Marine Force Table Of Organization". United States Marine Corps. Retrieved 10 March 2010. ^ Fleet Marine Force (1993). "1027g 17 December 1993 Weapons Company, Infantry Battalion, Infantry Regiment, Marine Division, Fleet Marine Force Table Of Organization". United States Marine Corps. Retrieved 10 March 2010. ^ a b c Rentz, Major John M. (1946). Bougainville and the Northern Solomons. Washington D.C.: Historical Branch, Headquarters, United States Marine Corps. p. 166. ^ Kane, Douglas T. (1963). History of U.S. Marine Corps Operations in World War II Volume II: Isolation of Rabaul. Washington D.C.: Historical Branch, Headquarters, United States Marine Corps. . Page 250. ^ Bougainville and the Northern Solomons, Pages 61–62. ^ Bougainville and the Northern Solomons, Page 62. ^ Bougainville and the Northern Solomons, Page 63. ^ a b c d e f g h i j k Benis M. Frank (1968). "A Brief History of the 3rd Marines" (PDF). Historical Branch, United States Marine Corps. Archived from the original (PDF) on 15 June 2011. Retrieved 24 January 2006. ^ Bougainville and the Northern Solomons, Page 67. ^ Volume II: Isolation of Rabaul, Pages 255–263. ^ "APA 53". The Dictionary of American Naval Fighting Ships. 1981 . Retrieved 3 April 2010. ^ a b c d O'Brien, Cyril J. (1994). Liberation: Marines in the Recapture of Guam. Washington D.C.: Marine Corps History and Museums Division, United States Marine Corps. p. 45. PCN 19000312600. ^ Shaw, Jr., Henry I.; Nalty, Bernard C.; Turnbladh, Edwin T. (1966). History of U.S. Marine Corps Operations in World War II. Volume III: Central Pacific Drive. Washington D.C.: Marine Corps History and Museums Division, United States Marine Corps. p. 685. . Page 462. ^ Central Pacific Drive Pages 445, 464, 483. ^ Central Pacific Drive Page 464. ^ a b Central Pacific Drive Pages 463–456. ^ Central Pacific Drive Pages 483–484. ^ a b Central Pacific Drive Pages 484–485. ^ Central Pacific Drive Page 490. ^ Central Pacific Drive Page 505. ^ Central Pacific Drive Page 509. 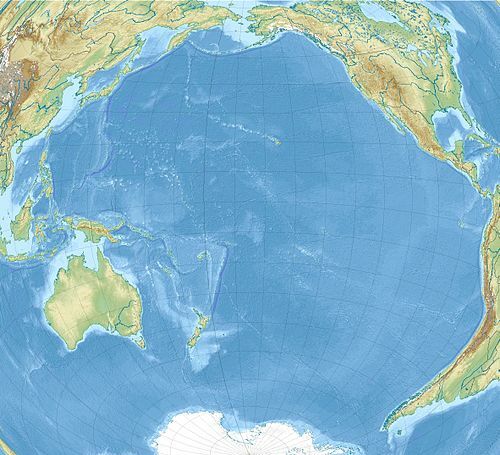 ^ Central Pacific Drive Pages 536–537. ^ Central Pacific Drive Page 556. ^ Central Pacific Drive Pages 562–563. ^ Lodge, Major O.R. (1954). The Recapture of Guam. Washington D.C.: Historical Branch, G-3 Division, Headquarters, U.S. Marine Corps. p. 215. ^ Baker, Russell (2008). "Interview with Russell Baker" (PDF). Veterans Remember Oral History Project (Interview). Interviewed by Robert Young. Springfield, Illinois: Abraham Lincoln Presidential Library. Archived from the original (PDF) on 7 November 2017. Retrieved 3 November 2017. , Page 13. ^ Colonel Joseph H. Alexander. "The Drive North". Closing In: Marines in the Seizure of Iwo Jima. Marine Corps Historical Center, United States. ^ Nakaso, Dan (23 May 2008). "Gone, yes – but never forgotten". Honolulu Advertiser. Retrieved 26 May 2008. ^ a b c Dave Tucker. "Memories". Item Co. 3rd Marines 1951–54. Archived from the original on 23 October 2009. Retrieved 20 January 2007. ^ Shulimson, Jack; Johnson, Major Charles M. (1978). U.S. Marines in Vietnam: The Landing and the Buildup 1965. Washington D.C.: U.S. Marine Corps. p. 261. PCN 19000307600. . Page 35, 236. ^ The Landing and the Buildup 1965, Page 238. ^ The Landing and the Buildup 1965, Page 72. ^ The Landing and the Buildup 1965, Pages 75–78. ^ Lehrack, Otto (1992). No Shining Armor: The Marines At War In Vietnam. Lawrence, KS: University Press of Kansas. p. 398. ISBN 0-7006-0533-9. . Page 48. ^ The Landing and the Buildup 1965, Pages 76–78. ^ Virginia Schomp (2005). The Vietnam Era. Marshall Cavendish. p. 5. ISBN 978-0-7614-1693-7. ^ The Landing and the Buildup 1965, Page 78. ^ Otto J. Lehrack (2005). "Operation Starlite: The First Battle of the Vietnam War". Leatherneck Magazine. Archived from the original on 17 November 2006. Retrieved 24 November 2006. ^ No Shining Armor Pages 54–55. ^ The Landing and the Buildup 1965, Pages 93, 96–97, 239. ^ The Landing and the Buildup 1965, Pages 101–109, 240. ^ No Shining Armor Pages 63–65. ^ Shulimson, Jack (1982). U.S. Marines in Vietnam: An Expanding War 1966 (PDF). Washington D.C.: U.S. Marine Corps. p. 406. PCN 19000308600. Archived from the original (PDF) on 15 June 2011. Page 78-80, 92–93, 96–97. ^ An Expanding War 1966, Page 205. ^ An Expanding War 1966, Page 284. ^ An Expanding War 1966, Page 306. ^ Telfer, Major Gary; Rogers, LtCol Lane; Fleming, Jr., V. Keith (1984). U.S. Marines in Vietnam: Fighting the North Vietnamese 1967 (PDF). Washington D.C.: U.S. Marine Corps. p. 351. PCN 19000309000. Archived from the original (PDF) on 15 June 2011. ^ Jim Schueckler; Ken Davis (2006). "Donald Rion, HM3, Navy, Northbrook IL, 10Dec66 13E029". The Virtual Wall. Archived from the original on 5 May 2007. Retrieved 15 May 2007. ^ U.S. Marines in Vietnam: Fighting the North Vietnamese 1967, Pages 9–14, 18, 20. ^ U.S. Marines in Vietnam: Fighting the North Vietnamese 1967, Page 14. ^ a b c Jim Schueckler; Ken Davis (2006). "Robert Schley, CPL, Marine Corps, Oregon WI, 30Apr67 18E128". The Virtual Wall. Retrieved 15 May 2007. ^ U.S. Marines in Vietnam: Fighting the North Vietnamese 1967, Page 39. ^ Edward Murphy (2003). Semper Fi Vietnam, from DaNang to the DMZ Marine Corps Campaigns, 1965–1975. Presidio Press. p. 256. ^ No Shining Armor, Pages 315–323. ^ No Shining Armor, Page 342. ^ Smith, Charles R. (1988). U.S. Marines in Vietnam: High Mobility and Standdown 1969 (PDF). Washington D.C.: U.S. Marine Corps. p. 420. PCN 19000310300. Archived from the original (PDF) on 15 June 2011. Pages 141–149. ^ No Shining Armor, Page 352. ^ Bob Neener (2005). "USMC Battalions in Vietnam". 3rd Marines in Vietnam. Retrieved 1 May 2006. ^ "Final Muster: 3/3 KIA VietNam". 33usmc.com. Archived from the original on 23 November 2010. Retrieved 4 December 2010. ^ "The 31st Marine Amphibious Unit in the Arabian Sea During the Hostage Crisis". The Hostage Rescue Attempt In Iran, 24–25 April 1980. James Bancroft. Retrieved 24 March 2007. ^ a b "Captain Mattis". Task Force Trinity. Retrieved 20 April 2013. ^ Frank, Benis M. (1987). U.S. Marines in Lebanon, 1982–1984 (PDF). Washington, DC: United States Marine Corps. pp. 88, 117–118. Archived from the original (PDF) on 8 May 2013. ^ Huddleston, Craig S (1 January 1991). "Commentary on DESERT SHIELD". Marine Corps Gazette. Marine Corps Association: 32. Archived from the original on 22 February 2007. Retrieved 23 November 2006. ^ Maj Charles D. Melson, USMC; Evelyn A. Englander; Capt David A. Dawson, USMC. "Anthology and Annotated Bibliography". U.S. Marines in the Persian Gulf, 1990–1991. History and Museums Division, United States Marine Corps. Retrieved 26 November 2006. ^ Otto J. Lehrack (2005). America's Battalion: Marines in the First Gulf War. Tuscaloosa: The University of Alabama Press. p. 17. ^ a b c 3/3 Battalion Command Chronology, January–June 1991. All Battalion Command Chronologies are located at the Grey Research Archives at Headquarters Marine Corps in Quantico, VA.
^ "Crisis At A Glance". Seattle Times. 16 January 1991. Retrieved 15 January 2011. ^ a b 3rd Marines. "Command Chronology 3rd Battalion 3rd Marines January–February 1991". GulfLINK. Archived from the original on 4 May 2006. Retrieved 25 November 2006. ^ BGen John H. Admire (August 1991). "The 3d Marines in Desert Shield". Marine Corps Gazette. 75: 81–84. ^ Otto Kreisher (2002). "Persian Gulf War: U.S. Marines' Minefield Assault". Military History Quarterly. Archived from the original on 30 September 2007. Retrieved 4 May 2006. ^ William Cole (13 August 2004). "Kane'ohe Marines stand by to deploy". The Honolulu Advertiser. Retrieved 23 February 2007. ^ Roger Leo (10 November 2006). "Dangerous Duty". Men At War. Retrieved 19 December 2009. ^ Diana Leone (23 July 2005). "Marines 'didn't give up and didn't let us give up'". The Honolulu Star-Bulletin. Retrieved 1 May 2007. ^ "Marines Return to Tora Bora for Operation Celtics" (Press release). American Forces Press Service. 31 May 2005. Archived from the original on 1 March 2010. Retrieved 31 December 2009. ^ "TV crew, Marines escape IED attack" (Press release). Afghanistan Coalition Press Information Center. 29 May 2005. Archived from the original on 28 June 2009. Retrieved 31 December 2009. ^ "America's Battalion takes over Lava Dogs' area of operations in Helmand" (Press release). United States Marine Corps, Regimental Combat Team 7. 11 June 2010. Retrieved 11 June 2010. ^ Rajiv Chandrasekaran (31 May 2010). "In Afghan region, U.S. spreads the cash to fight the Taliban". Washington Post. Retrieved 6 November 2010. ^ a b "Marines, Afghan Army conduct clearing mission in Trek Nawa during Operation Mako" (Press release). United States Marine Corps, Regimental Combat Team 1. 21 September 2010. Archived from the original on 8 October 2010. Retrieved 11 June 2010. ^ Dan Lamothe (4 October 2010). "1st Recon launches new operation near Marjah". Marine Corps Times. Archived from the original on 12 September 2010. Retrieved 6 November 2010. ^ "Marine gives life trying to save Afghan policeman" (Press release). United States Central Command. 21 September 2010. Archived from the original on 26 October 2010. Retrieved 11 June 2010. ^ "Deaths in Afghan helicopter crash". Al Jazeera. 22 July 2010. Retrieved 6 November 2010. ^ "'Dealer 54' honored on USMC flight line" (Press release). 3rd Marine Aircraft Wing. 21 April 2012. Retrieved 21 April 2012. ^ a b "Marines, Afghan Army combat IEDs in Trek Nawa" (Press release). United States Central Command. 17 August 2010. Archived from the original on 21 October 2010. Retrieved 11 June 2010. ^ Sara Carter (11 October 2010). "Search for Marine lieutenant's killer meets Afghan obstacles". San Francisco Examiner. Retrieved 6 November 2010. ^ Mohammad Ilyas Dayee (21 September 2010). "Helmand Vote Marred by Attacks". Institute for War & Peace Reporting. Archived from the original on 5 August 2012. Retrieved 24 November 2010. ^ Rajiv Chandrasekaran (2 November 2010). "U.S. bases shifting to Afghan control". Washington Post. Retrieved 6 November 2010. ^ William Cole (12 November 2010). "Marines head out to now safer area". Honolulu Star Advertiser. Retrieved 24 November 2010. ^ "'America's Battalion' arrives in Afghanistan" (Press release). United States Marine Corps. 7 November 2011. Retrieved 21 April 2012. ^ a b "Afghan Border Police, Marine partnership furthers governance in southern Helmand" (Press release). United States Marine Corps. 3 February 2012. Archived from the original on 17 March 2012. Retrieved 21 April 2012. ^ "Garmsir citizens, Marines honor fallen police chief" (Press release). United States Marine Corps. 17 November 2011. Retrieved 20 November 2011. ^ Stanikzai, Zainullah (7 November 2011). "District police chief among 3 dead in Helmand blast". Pajhwork Afghan News. Retrieved 25 November 2011. ^ a b Stanikzai, Zainullah (14 November 2011). "Taliban gun down tribal elder in Helmand". Pajhwok Afghan News. Archived from the original on 26 November 2012. Retrieved 25 November 2011. ^ "Marines plunge into frigid canal to save nine Afghans" (Press release). United States Marine Corps. 14 December 2012. Retrieved 21 April 2012. ^ a b "Afghan, Marine forces clear remnants of insurgency in southern Helmand" (Press release). United States Marine Corps. 10 January 2012. Retrieved 21 April 2012. ^ "Operation Shahem Tofan: Afghan Border Police, Marines extend reach toward Helmand border" (Press release). United States Marine Corps. 16 February 2012. Retrieved 21 April 2012. ^ "Successful elections evidence of governance, growth in Garmsir" (Press release). United States Marine Corps. 19 April 2012. Retrieved 21 April 2012. ^ "Four U.S. troops confirmed dead in Afghanistan helicopter crash". Los Angeles Times. 20 April 2012. Retrieved 22 April 2012. ^ "Hawaii-based unit, 'America's Battalion, arrives in Al Anbar Province" (Press release). United States Marine Corps. 20 March 2006. Archived from the original on 22 August 2006. Retrieved 8 March 2010. ^ Andrew Tilghman (8 June 2006). "Killings strain Marines' work in Haditha". Stars and Stripes. Retrieved 18 December 2009. ^ a b c "Security in Haditha Triad city comes one step at a time for Marines, Iraqi soldiers" (Press release). United States Marine Corps. 2 August 2006. Archived from the original on 16 July 2011. Retrieved 8 March 2010. ^ a b "'America's Battalion' wraps up six-month Iraq deployment" (Press release). Marine Corps News. 6 October 2006. Retrieved 8 March 2010. ^ Andrew Tilghman (5 June 2006). "U.S. call for Iraqi police in Haditha goes unanswered". Stars and Stripes. Retrieved 18 December 2009. ^ a b "Hawaii-based Marines, Iraqi soldiers net suspects" (Press release). United States Marine Corps, 1st Marine Division. 13 September 2006. Archived from the original on 28 June 2013. Retrieved 1 January 2010. ^ "Marines Fight Grenade Attacks, Drive-Bys, IEDs" (Press release). Marine Corps News. 6 June 2006. Archived from the original on 7 October 2012. Retrieved 18 December 2009. ^ a b "Insurgent attacks no match for Marines' resolve" (Press release). Marine Corps News. 13 June 2006. Archived from the original on 19 June 2008. Retrieved 18 December 2009. ^ a b "Operation Guardian Tiger IV brings Iraqi police to Haditha Triad Region for the first time in two years" (Press release). Marine Corps News. 15 September 2006. Archived from the original on 28 June 2013. Retrieved 28 January 2010. ^ Robert Shikina (21 October 2006). "Comrades share stories and sorrow with families". The Honolulu Star-Bulletin. Retrieved 28 April 2007. ^ a b Totten, Michael J. (24 March 2008). "The Liberation of Karmah, Part I". MichaelTotten.com. Retrieved 24 November 2011. ^ "'America's Battalion' continues counterinsurgency ops in Anbar" (Press release). Regimental Combat Team 6 Public Affairs. 1 October 2007. Retrieved 8 March 2010. ^ a b "Garma reopens marketplace" (Press release). Regimental Combat Team 6 Public Affairs. 12 December 2007. Retrieved 8 March 2010. ^ "K/3/3 moves in on insurgent territory". Leatherneck.com. Retrieved 4 December 2010. ^ Mario Loyola (3 September 2007). "The Watchmen". Weekly Standard. Retrieved 12 February 2010. ^ Geoff Ziezulewicz (24 January 2008). "Marines Work for the Good of Karmah". Stars and Stripes. Archived from the original on 16 June 2008. Retrieved 12 February 2010. ^ Herschel Smith (27 September 2007). "Small Wars are Still Wars". The Captain's Journal. Retrieved 12 February 2010. ^ Geoff Ziezulewicz (23 January 2008). "Marines in Karmah have joined the battle for the hearts and minds of Iraqi citizens". Stars and Stripes. Retrieved 12 February 2010. ^ Staff Report (27 February 2008). "Family, friends welcome 3/3 Marines back to K-Bay". Marine Corps Times. Archived from the original on 8 March 2012. Retrieved 13 March 2008. ^ "150 Kaneohe Marines leave for Iraq150 Kaneohe Marines leave for Iraq". Honolulu Advertiser. 6 April 2009. Archived from the original on 10 April 2009. Retrieved 20 April 2009. ^ a b "Military working dogs bite into their mission in Iraq" (Press release). United States Marine Corps. 31 May 2009. Retrieved 28 January 2010. ^ "Task Force Military Police finds strength through differences" (Press release). United States Marine Corps. 20 April 2009. Retrieved 28 January 2010. ^ "Anti-terrorism battalion wraps up seven-month deployment" (Press release). United States Marine Corps. 12 May 2009. Archived from the original on 4 June 2011. Retrieved 1 January 2010. ^ "Marines from Task Force Personnel Recovery (TF MP) of Multi-National Force-West conduct recovery efforts at the crash site of U.S. Navy Capt. Michael Scott Speicher". Navy.mil. Retrieved 4 December 2010. ^ Heussner, Ki Mae (2 August 2009). "Gulf War Mystery Ends: Pilot's Remains Recovered". ABC News. Retrieved 3 December 2011. ^ Trista Talton (20 December 2009). "Last grunts in Iraq prepare to come home". Marine Corps Times. Archived from the original on 3 January 2010. Retrieved 15 January 2011. ^ Burke, Michael (6 December 2009). "Flight of Tears Part 2: The Mumbai Conspiracy". Castra Praetoria: America's First Sergeant in the Twenty-First Century. Retrieved 15 January 2011. ^ Bettina Boxall (12 July 2009). "Marine Lance Cpl. Ray A. Spencer II, 20, Ridgecrest; died in a 'nonhostile incident' in Iraq". LA Times. Retrieved 1 January 2010. ^ Robert V. Aquilina (27 July 2001). "America's Battalion". Reference Section, History and Museum Division, United States Marine Corps. Archived from the original on 7 November 2006. Retrieved 24 November 2006. ^ No Shining Armor, Pages 126–127, 162. ^ Oliver North (9 March 2005). "Oliver North Discusses His Book, 'War Stories II: Heroism in the Pacific'". Your Turn – Meeting Nonsense with Common Sense (Interview). Renee Giachino. Florida: 1330 AM WEBY. Archived from the original on 14 December 2006. Retrieved 9 December 2006. Retrieved on 9 December 2006. ^ Dan Lamothe (26 November 2010). "MoH nominee says he does not feel like a hero". Army Times. Retrieved 29 November 2010. ^ James K. Sanborn (26 March 2010). "Caustic comic strip lances enlisted life". Marine Corps Times. Archived from the original on 26 August 2011. Retrieved 29 December 2010. ^ Burke, Michael. "Castra Praetoria: America's First Sergeant in the Twentyfirst Century". Retrieved 7 September 2011. ^ Szoldra, Paul. "About Us". The Duffel Blog. Retrieved 18 August 2012. Baker, Russell (2008). "Interview with Russell Baker" (PDF). Veterans Remember Oral History Project (Interview). Interviewed by Robert Young. Springfield, Illinois: Abraham Lincoln Presidential Library. Archived from the original (PDF) on 7 November 2017. Retrieved 3 November 2017. Darack, Ed (2009). Victory Point: Operations Red Wings and Whalers – The Marine Corps' Battle for Freedom in Afghanistan. Penguin Group. ISBN 0-425-22619-0. Frank, Benis M. (1968). A Brief History of the 3rd Marines (PDF). Washington D.C.: U.S. Marine Corps. Archived from the original (PDF) on 15 June 2011. Kane, Douglas T. (1963). History of U.S. Marine Corps Operations in World War II Volume II: Isolation of Rabaul. Washington D.C.: Historical Branch, Headquarters, United States Marine Corps. Lehrack, Otto (2005). America's Battalion: Marines in the First Gulf War. Tuscaloosa: The University of Alabama Press. Lehrack, Otto (1992). No Shining Armor: The Marines At War In Vietnam. Lawrence, KS: University Press of Kansas. ISBN 0-7006-0533-9. Lodge, Major O.R. (1954). The Recapture of Guam. Washington D.C.: Historical Branch, G-3 Division, Headquarters, U.S. Marine Corps. O'Brien, Cyril J. (1994). Liberation: Marines in the Recapture of Guam. Washington D.C.: Marine Corps History and Museums Division, United States Marine Corps. PCN 19000312600. Rentz, Major John M. (1946). Bougainville and the Northern Solomons. Washington D.C.: Historical Branch, Headquarters, United States Marine Corps. Shaw, Jr., Henry I.; Nalty, Bernard C.; Turnbladh, Edwin T. (1966). History of U.S. Marine Corps Operations in World War II. Volume III: Central Pacific Drive. Washington D.C.: Marine Corps History and Museums Division, United States Marine Corps. Shulimson, Jack; Johnson, Major Charles M. (1978). U.S. Marines in Vietnam: The Landing and the Buildup 1965. Washington D.C.: U.S. Marine Corps. PCN 19000307600. Shulimson, Jack (1982). U.S. Marines in Vietnam: An Expanding War 1966 (PDF). Washington D.C.: U.S. Marine Corps. PCN 19000308600. Archived from the original (PDF) on 15 June 2011. Smith, Charles R. (1988). U.S. Marines in Vietnam: High Mobility and Standdown 1969 (PDF). Washington D.C.: U.S. Marine Corps. PCN 19000310300. Archived from the original (PDF) on 15 June 2011. Telfer, Major Gary; Rogers, LtCol Lane; Fleming, Jr., V. Keith (1984). U.S. Marines in Vietnam: Fighting the North Vietnamese 1967 (PDF). Washington D.C.: U.S. Marine Corps. PCN 19000309000. Archived from the original (PDF) on 15 June 2011.